Since we'll probably get the June calendar up sometime in July, here's a post on what should be a fun event tonight, Sunday, June 1st. Sine Qua Non hair salons are holding their 4th annual hair and fashion show at the Victor Hotel, 311 N. Sangamon, with all proceeds going to support grass roots organization Preservation Chicago. Project Runways Steven Rosengard will appear as special guest designer, and Jeff Millbern, Anna Fong and Wolfbait and B-Girls will be the featured Chicago fashion designers. Tickets are $25.00. From 6:30 t0 7:30 pm there will be a complimentary cocktail hour, followed by the multi-media fashion show with a live DJ. Just before the fashion show, Preservation Chicago board members will speak on the state of Grant Park and other current preservation issues. More info on-line. The engaging centerpiece of the Chicago Architecture Foundation's Cityspace Gallery is a large scale model of Chicago's center city. It's always a kick to stand above it and, feeling slightly God-like, contemplate the rich, sprawling density of the city and its skyline. Just as it was once said that everything's bigger in Texas, however; we're now finding that the emerging urban landscapes of Asia and the Middle East are rapidly and spectacularly upping the ante. 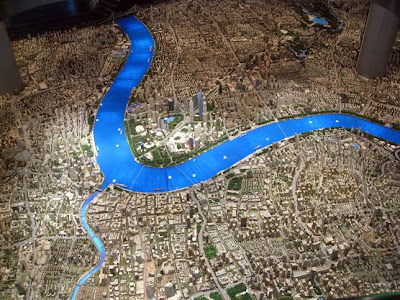 Case in the point is the gigantic model shown above, 800 square meters in size, depicting Shanghai as it will appear by 2020. 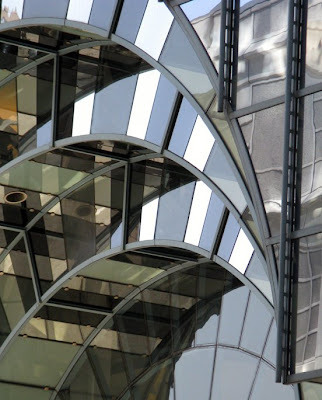 You can tell the future buildings by their being made of clear plastic. As with the still another grand bit of model building, the model train exhibit at the Museum of Science and Industry, which stretches between a re-creation of downtown Chicago (structures sometimes relocated for your viewing convenience) and a similar scale model version of Seattle, complete with Space Needle, you can view the Shanghai model either at eye level or from the Olympian perspective of an upper gallery. 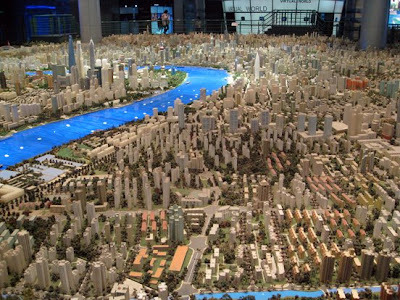 The Shanghai model is on the third floor of - wait for it - the Shanghai Urban Planning Exhibition Hall. That's right: a six story building devoted to a museum of urban planning and development. Burnham would have been dancing with delight. It's claimed to be the largest in the world. 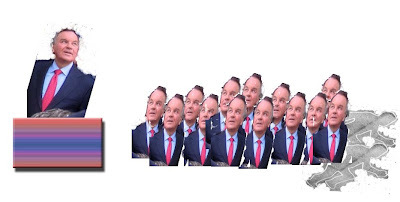 (How many more could there be?) 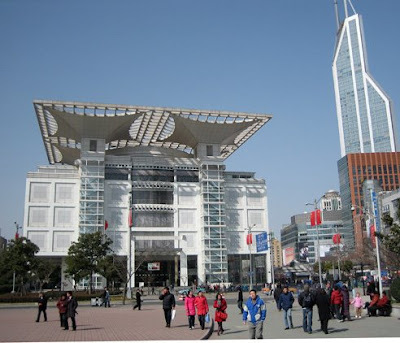 18,000+ square meters, with a roof whose hovering grid is centered on four expanding eaves that represent the petals of a white magnolia, the Shanghai city flower. Inside, there's also an exhibition on the last fifty years of planning in Shanghai, a gold monument in the lobby where many of the city's most prominent buildings stand cheek to cheek and rotate, and in the basement, a picturesque recreation of a 1930's Shanghai street, complete with trams, fire hydrants, tobacco stores, and the sound of movie music and the crashing waves of the Huangpu river. Hilbs meets Uncle Walt. Note: this is the first of a series of posts that will present photographs courtesy from our roving anonymous - and generous - correspondent's barnstorming exploration of China earlier this year. Palmer House Facade Looking Good - interior, not so much. 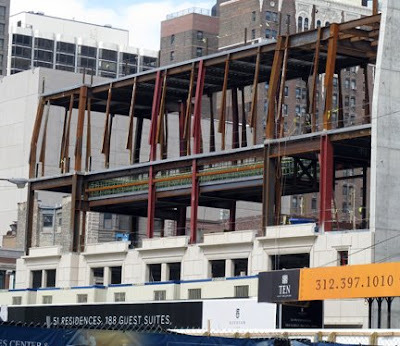 A photoessay on upgrades, restorations and misfires at Chicago's classic 1920's hotel. Read and see it all here. 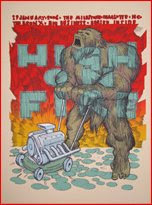 Just came across Eikongraphia's MoPo 2008 (did Bill Smithfield have a hand in naming this? 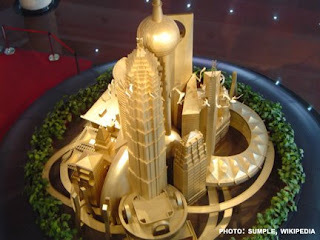 ), their ranking of the 25 Most Popular Architecture Blogs, and was amazed to find this humble offering at number 18. 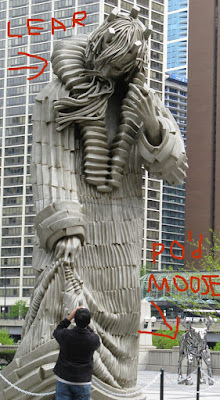 (If you bet on Chicago expatriate and hideously successful John Hill's Archidose blog to Show, collect your winnings.) The fact that I actually come in one position ahead of the London Times' great Hugh Pearman makes me think the only decent thing to do would be to demand a recount, but my ranking addiction has now kicked in like an Amy Winehouse craving, and I'm obsessing on overtaking number 16, Sit down man, you're a bloody tragedy, if only because its very title is a provocation. Chicago's landmarking process is deeply flawed and often corrupt, allowing no small number of the city's most essential buildings to slip through its fingers, through desecration or demolition. 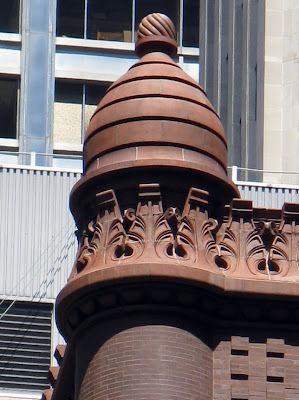 Still, it's good to pause once in a while to reflect on the successes - The Reliance Building, is a prime example, the current restoration of Louis Sullivan's Carson Pirie Scott building is another - and to cringe at how the process is bungled in other locations. 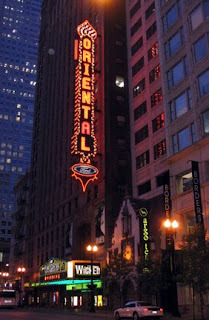 Chicago has been successful in saving three of its great Loop movie palaces, first the queen, The Chicago, which owner Plitt theaters wanted to demolish, and also the Cadillac Palace, and the Ford Oriental. 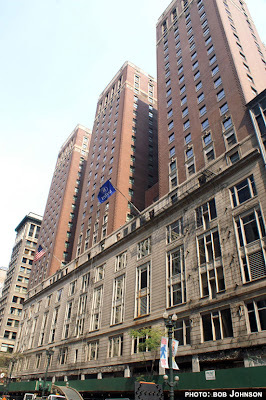 The Oriental had been hidden for years behind a forlorn electronics store, but a combination of TIF money and the grand plans of Garth Drabinsky has seen it restored to an original glory that had been invisible for decades. The $200,000,000 plus that the blockbuster production of the music Wicked has grossed over its multi-year run, and the nearly 20,000 people it's been pulling into the Loop every week, has shown that this is one $30,000,000 investment has paid off, big time. The great omission in the district is not saving any of the smaller houses like the Roosevelt, which my great-grandfather helped build, or, more specifically, the United Artists, which was originally designed for live theatre and would have been a perfect complement to a Randolph Street very much in need of a smaller house for non-musical productions. Contrast this to Phildelphia, where every one of the city's great movie palaces were allowed to be demolished, save one, the Boyd, and that theater remains in danger as it continues to struggle for landmark protection. By comparison there's Pittsburgh, where no further than two of its great palaces, the Stanley and the Penn, have been restored as performing arts center. 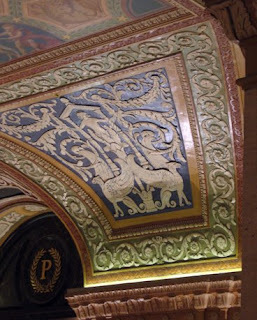 The Chicago landmarks ordinance by default protects only the exteriors of the buildings, however, it also has the power to designate key interiors - the lobby of the Palmer House, for example - as protected elements. According to Saffron, however, the Philadelphia ordinance, amazingly, has absolutely no provision for protecting interiors. So, yes, it could be a lot worse. You can read Saffron's report here, and see a gallery of images on the Friends of the Boyd website here. Daley's "Nowhere" To Host First International Poster Biennial in U.S. 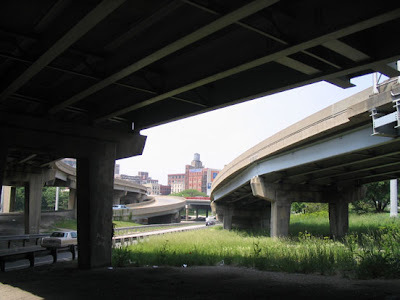 While Chicago is well known for its architecture, theatre, fine art, public landscaping, and music scenes, there is a significant lack of applied visual arts in public spaces. 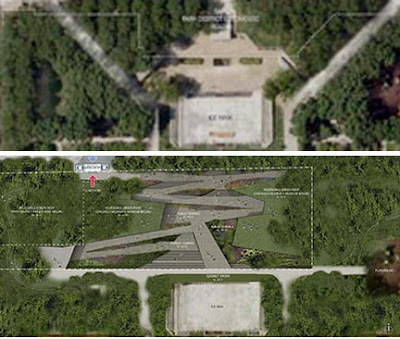 By focusing on making this exhibition an outdoor one, we hope to accomplish two important objectives. First, we want posters to be realized as the quintessential public art form, because they engage citizens at street level, requiring an emotional and intellectual response. 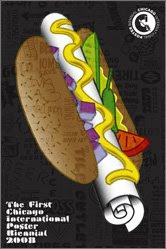 They also stimulate dialogue and articulation of important issues—social, political, and economic. Secondly, we want to help the City of Chicago craft its international reputation as a proponent of international cooperation and communication—and as a strong civic advocate of design. International poster biennials have been held worldwide from Warsaw to Helsinki, Hangzhou to Tehran, but this is the first event of its kind to be held in the United States. You can find the rules for the competition here. President of the jury will be the legendary John Massey. Other international heavyweights among the jury members are France's Michel Bouvet, Japan's Shigeo Fukuda, Israel's Yossi Lemel, and Mexico's German Montalvo. You can see a sampling of the striking, often dazzling work of the jury members, including the poster, shown to the left, by Chicago's Jay Ryan, here. An opening night reception for members of the jury will be held at Mies van der Rohe's Crown Hall at IIT on Saturday June 7th from 6:00 to 9:00 P.M. 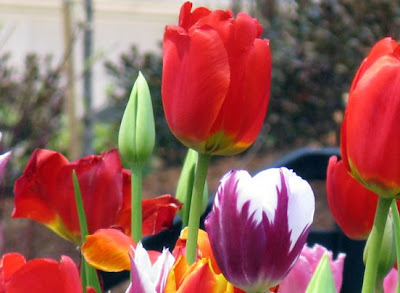 It's free for Biennial members, with a suggested donation of $20.00 for non-members. Space is said to be limited. RSVP to Aude Charmetant at 312/494.5250 or email to: aude@legendrerutter.com. 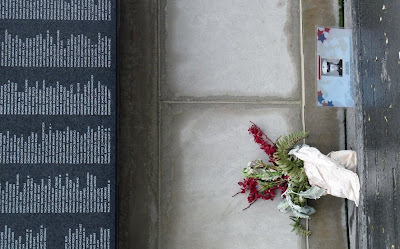 An exhibition of jury members' work will be open to the public from June 8 through the 10th, 10 A.M. to 3:00 P.M.
Then, beginning September 15th and running through October 15th, Daley Bicentennial Plaza, the park that Mayor Richard M. Daley dismisses as "nowhere" in his quest to to force a new Chicago Children's Museum into it, will be home to what organizers say will be a "one-of-a-kind outdoor exhibition" of posters, the "art of the streets." The cylinders you see here are said to take their "aesthetic cue from the poster columns of Europe." Unlike the Children's Museum, the exhibition will be free of charge, and "demonstrate that art and culture are not reserved only for patrons of museums and galleries." It looks to be a hell of a show. Preview it here. ". 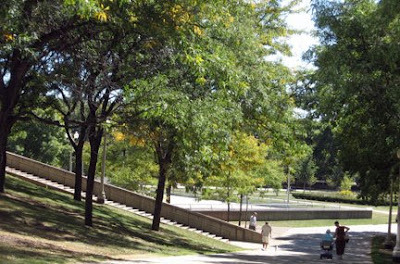 . . we learned that the proposed site is not part of historic Grant Park . . . We learned that the proposal is not to build an additional building in the park, but merely to replace an existing structure . 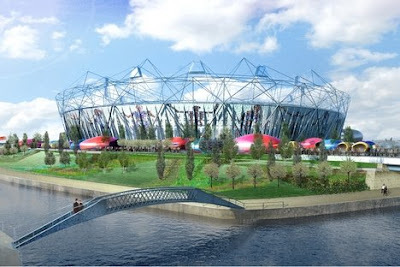 . . it seems that opposition to the proposal is being cultivated by misinforming the public . . . people should be sure they are being provided accurate information about the proposal before taking a position." - Howard Rosenburg. "Mr. Rosenburg resides in Chicago with his two children, and his wife, who works for the Chicago Children's Museum." Ah, yes, so sad how opponents to the museum's land grab are always misleading the public. *Astroturf: manufacturing of the appearance of broad public support that doesn't really exist. The Elysian Chicago is architect Lucien Lagrange's latest and greatest let's-all-crawl-back-into-the-womb extravaganza, a 60 story, 686 foot-tall French Second Empire meets condo gulch confection. 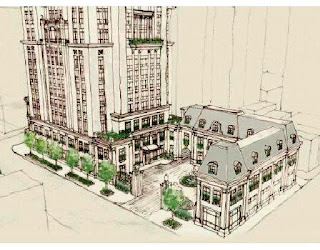 The ultra high-end project (two residences per floor) comes complete with its own quarter-block sized carriage court, empowering residents' fantasies of being aristocrats in the time of Napoleon the Third. (Don't trip over the Commune.) The rendering here is cribbed from skyscraperpage.com's coverage of the project, which includes extended (38 pages and counting), impassioned discussion of its merits. 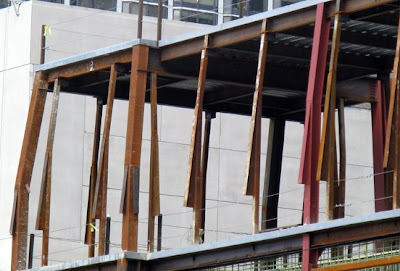 For a brief period of time you can see, as pictured here, the intriguing structural frame that will support the courtyard's mansard roof, in one of project's rare fleeting displays of architectural honesty. 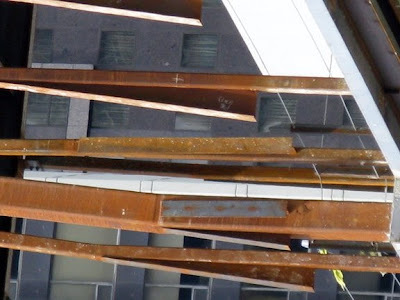 From a distance, those angled members almost look like they could be swinging in the wind, but a closer inspection reveals that they're firmly welded to more solidly vertical counterparts. Enjoy it while you can. 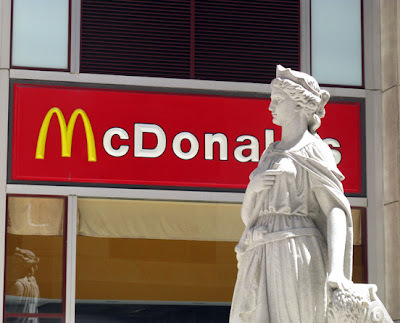 It's great street theater, and one of those cases where the foundation garments hold more interest than the pretentious frocks that will ultimately be worn over them. A last minute reminder that Maurice Cox, Design Director for the National Endowment for The Arts, will be at the Chicago Architecture Foundation today between 3:00 and 4:30 P.M. to meet with Chicago's design community and present and answer questions about the NEA's resource and funding structure. If you are interested in attending, please reserve your space by calling Larren Austin at 312/922.3432 x 245, or via email at laustin@architecture.org. Celebrating its first birthday, Pecha Kucha Night Chicago, the unique forum that gives designers, foodies and other creative types of that ilk 20 images, 20 seconds each, with which to make a presentation in the relaxed informal setting of Martyr's on north Lincoln, will have as its June 4th opening act a 13 minute preview of Learning From Bob & Denise, an in-the-works documentary profiling architects Robert Venturi and Denise Scott Brown, the soft spoken but dynamo team whose work and writings - Learning From Las Vegas, and Complexity and Contradiction in Architecture - redefined architecture itself in the closing decades of the last century. 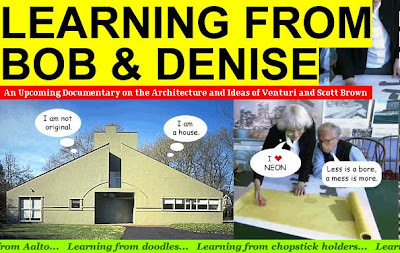 The documentary's all-star supporting cast includes Frank Gehry, Rem Koolhaas, Ada Louise Huxtable, Paul Goldberger, Peter Eisenman, Tom Wolfe and Cher. Producer/director James Venturi (probable relation) will discuss the project, now in its fifth and final year of production. After that, it's back to form with an evening of fast moving presentations that will feature architect Michael Wilkinson, AIA/Chicago's Zurich Esposito, Redmoon Theatre's Jim Lasko, Ed Stevenson, Arielle Weininger of the Spertus Museum, Monte, Abby Factor, Jeffy Scurry, mountaineer Arild Øvrum, Joshua Wentz, Steve Skinner and, as always, Cher. Pecha Kucha IV in March, despite my presence as a presenter (that's me in the middle of the photo set above, scaring the small children), sold out, and there's no reason not to expect V will, as well. Wednesday, June 4th at Martyr's, 3855 North Lincoln. A "special opening act" is scheduled for 7:45 P.M., with the main program from 8 P.M. to 11:00 P.M. Tickets, $10,00, can be purchased here. Food and drink (pizza!) available for a modest increment. Acetylene Torches - Menace to Classic Architecture? Around 2 P.M. on Tuesday, a major fire broke out on the roof of Berlin's landmark Philharmonie concert hall. Berlin Philharmonic musicians hurriedly broke into lockers and removed their often priceless instruments to safety. A final assessment of the damage is still to be determined, but it will be, without doubt, substantial. 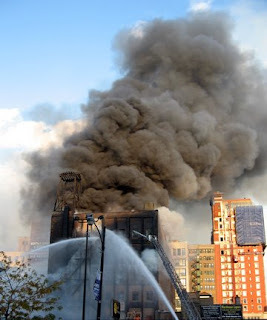 The Guardian reports that sparks from welders' torches set insulation materials ablaze. The only good news in all this is learning that Claudio Abbado is back. The fire broke out as he rehearsing the orchestra for a series of performances of Berlioz's Te Deum this coming weekend, now in a venue to be named later. I'm not sure what the answer is to all this, but I'm pretty sure "Accidents happen" isn't it. Shouldn't there be tougher oversight on the use of welding torches in protected landmark buildings? A shy groom, a radiant bride. 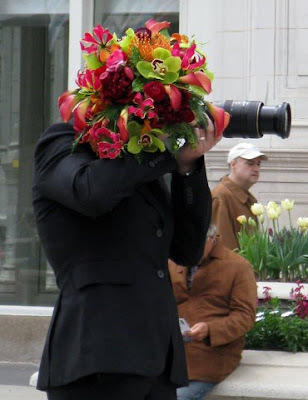 A recent Saturday found us capturing these pictures of a wedding party taking pictures in the middle of Michigan Avenue just north of the bridge. 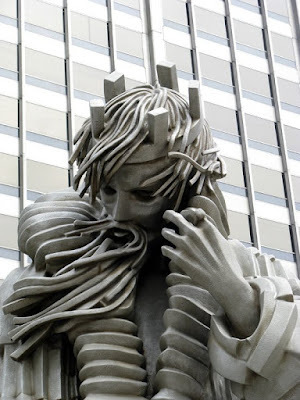 Meanwhile, just across the street, J. Seward Johnson's towering cupronickel King Lear statue, managing to look vaguely Christ and alien-like at the same time, is now doing some big time brooding in Pioneer Court. Is it just me, or is John Kearney's anatomically correct, automobile bumper Moose looking none too happy fitted with Cordelia's mantle and having his former privileged position on the plaza so rudely usurped? 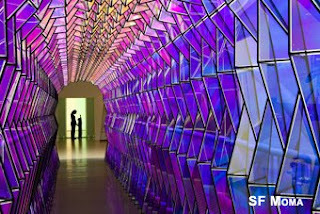 We were all ready to bemoan the fact that the striking exhibition of the work of Olafur Eliasson, Take Your Time, had time for everywhere but Chicago, making stops at both SFMoma, and, currently, at New York MOMA's P.S.1 outpost in Queens, where it runs through June 30th. A recent Chicago Tribune interview with new Museum of Contemporary Art Director Madeleine Grynsztejn , however, revealed that the Eliasson show will, in fact, be making a Chicago stop at MCA, sometime next spring. Using light, color, water, ice, moss and mirrors (no smoke, as best as I can tell), Eliasson creates indoor environments that are, by most descriptions, both disorientating and hypnotic. I'll looking forward to seeing how his rooms bend and define our concepts of space. 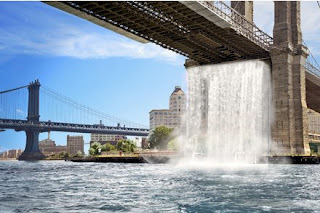 This summer, from mid June through mid October, Eliasson's The New York City Waterfalls will cycle water from the East River and cascade it down from heights up to 120 feet at locations along both the Brooklyn and Manhattan Bridges No fish will be harmed in this project, we are promised, and the electricity required to run the thing and power the LED's that will light up the wateralls after dark will all be generated from renewable resources. Circle Line boat tours will let people get a close-up view, provision of rain gear still be determined. On Sunday, June 8th, from 1:00 to 4:00 P.M., the Glessner House Museum will hold its annual benefit, A Walk Through Time, offering a Prairie Avenue tour that will include a rare look at the interiors of five privately-owned mansions, including the Harriet Rees , Elbridge G. Keith, William H. Reid, Charles W. Purdy and William Kimball homes, as well as the historic Second Presbyterian Church and the Glessner House itself. The tour will be followed by a silent auction, and a viewing of a new exhibition, Chicago's Historic Prairie Avenue, based on the newly published book of the same name. Tickets are $50.00 ($40.00 for Glessner House Museum members), and will be available at the door. 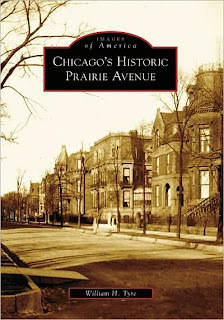 On Friday, June 6th at 7:00 P.M., author William H. Tyre will be at Glessner House to sign copies of Chicago's Historic Prairie Avenue, and talk about some of the stories he uncovered during his research. The event is $25.00 ($20.00 for museum members), with all proceeds going directly to support the museum. RSVP's for both events can be made at 312/326.1480. Information on-line. 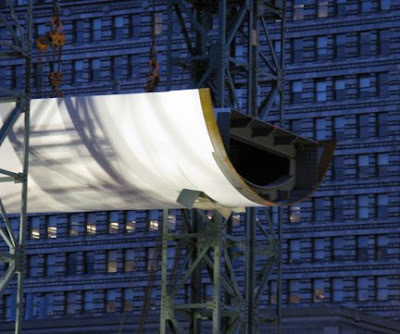 As a serial seducer lurks nearby, Renzo Piano's Nichols Bridgeway, which will join the Art Institute of Chicago to Millennium Park, crosses a major hurdle. See all the pictures here. On May 6th, the grass roots activists group Preservation Chicago became a bit more rooted when it named Bill Neuendorf, 40, an engineer whose work includes the preservation of historic structures, as their new President. Neuendorf takes over from long-time president Jonathan Fine, who co-founded the organization with ongoing VP Mike Moran in 2001, with Fine now assuming the title of Executive Director. The final sentence of the press release gave us a bit of pause. "Previously an all-volunteer organization, this new leadership team is ready to propel Preservation Chicago into the next chapter of its professional life." 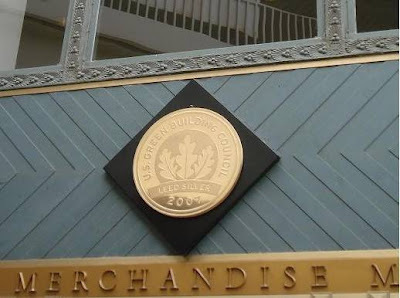 As reported by Blair Kamin, PC will now have paid staff, including both Fine and new Communications Manager Stacey Pfingsten, both in part-time positions (at least in salary), thanks to grants from the Driehaus and Alphawood Foundations. This makes PC more "organization", but it's also liable to make the importance of fund-raising, now required to make the payroll, more central, a step that can prove treacherous. Here's hoping PC's donor base has grown to the point of sustaining their new ambitions over the longer term. No pictures, pretty or otherwise. You can find a lot of those elsewhere. 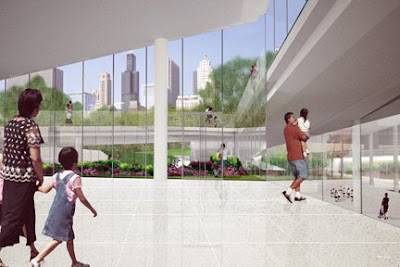 As the Chicago Plan Commission's consideration of the Chicago Children's Museum proposed move to Grant Park grows near, we offer an extended summary argument on why putting it there would be a very bad thing. Read it all here. From our vigorous blog correspondent Jack. Read his critique and see all the pictures here. photograph courtesy of our anonymous correspondent . 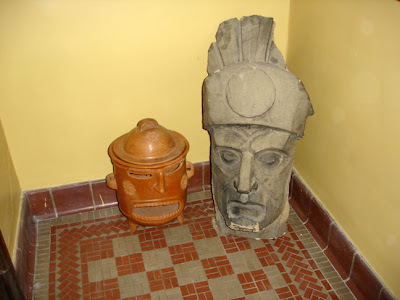 . .
And speaking of political correctness and the Merchandise Mart, here's a photo from The Box House blog showing one of the indian heads that once graced the facade of the center tower. There were once fifty six terra cotta American Indian chiefs that circled the center tower of the Mart; they were three and a half feet wide and seven feet tall. Unfortunately, they were all removed and, according to the Merchandise Mart history page, destroyed in 1961 to put up clean-looking and modern concrete plates. We found "Chief" at an estate sale; the woman's father had been involved in the demolition of the terra cotta facade, and managed to save this piece. 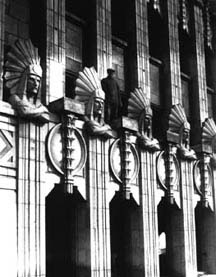 Here's a photo from the Merchandise Mart's website architectural history page showing how the chiefs looked in their original location. The Box House blog features posts on "How two generations of a family are working to make an Evanston two-flat into a home." There's also some great historical stuff, like this post on Theodore Roosevelt's 1903 visit to Evanston. ". 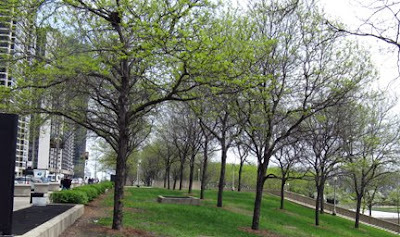 . . we also know that that principle of open common ground, uncompromised by construction that blocks views of the street walls that enclosed the park and the lakeshore that defines the city, is a fragile concept, easily eroded by just one small building here, and an addition to another there, until it is gone. Construction of another major museum in the park sets another precedent for the loss of ever more valuable historic open space." 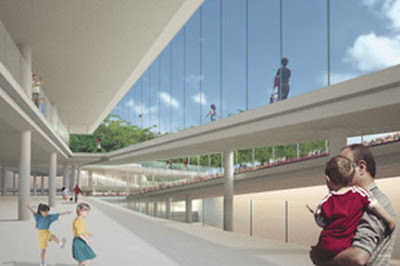 "We encourage the City of Chicago to seek another location for the Children's Museum in a city filled with neighborhoods and underutilized buildings that could benefit from the construction of a major attraction, and allow the concept of common ground established by our forbearers for Grant Park to stand in tribune to an idea that is becoming every more precious in an over developed world." After an extended courtship, the Chicago Symphony finally landed a new music director last week in the person of Riccardo Muti, the charismatic Italian conductor, late of the Philadelphia Orchestra and LaScala, who has signed a five year contract that will run through 2015. Like Julius Caesar, Muti had turned down the New York Philharmonic's entreaties to lead them, but just twice. The third time it was the CSO's turn. After a series of concerts with the orchestra warmly received by players, audiences and critics alike, Muti, who had professed to be happy to finally be free of permanent appointments, found that the CSO President Deborah Card made him an offer he couldn't refuse. "It was not what I was expecting," Muti told Sun-Times music critic Andrew Patner, "but it is what I am excited about . . . I want both to devote myself to making music with the Chicago Symphony and to bringing music to the many communities of Chicago and to new generations. This is our future.” This sets him apart from Daniel Barenboim, who fled Chicago at least partially because he chafed under the non-musical duties required of an American music director. Muti tells the Tribune's John von Rhein, "I believe an orchestra exists for everybody in the community, not just for the people who can afford to give money and buy tickets." Local media coverage of Muti's appointment can only be called ecstatic. All the bad raps on Muti - arrogance, lack of interest in contemporary music, too much hair - are refuted. 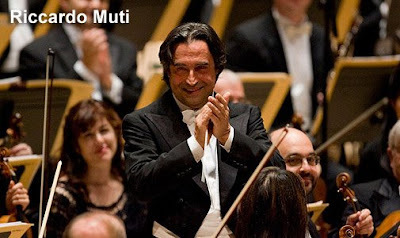 It's reported that all the CSO, Barenboimites and anti-Barenboimites alike, are reconciled in their enthusiasm for Muti. You're almost led to believe that the conductor's first stop upon his return to Chicago will be Oak Street Beach, to walk on the water. Are we in for an infatuation, or an enduring romance? And just when you're turned off by Muti's supposed antipathy to contemporary composers, you find out, via von Rhein's Sunday story, he's conducted not only Ligeti (festival, anyone?) but the work of Ralph Shapey, and not in Chicago, but in Philadelphia. 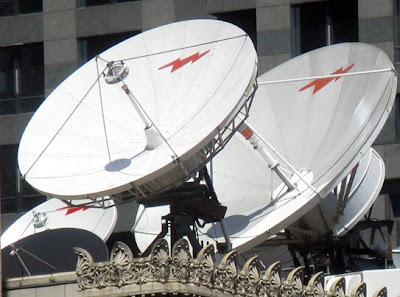 In some ways, Muti's programming tastes seem to be a throwback to an earlier age, but that's not necessarily a bad thing. I still have an allergy to Respighi - a recent Muti programming choice here - but a March, 1975 Muti program with the CSO ranged from the Four Sea Interludes from Britten's Peter Grimes, to Stravinsky's Scherzo Fantastique, to Tchaikovsky's First Symphony. The one time I heard Muti conduct the Philadelphia Orchestra, at Carnegie Hall in 1984, it was a concert performance of Gluck's Orfeo and Euridice. And how pleasant it is to contemplate a performance of the C minor Requiem of Muti's beloved Cherubini sung by the CSO Chorus. It's not known whether he's ever programmed Bear Down, Chicago Bears, however. At age 69 in 2010, Muti will be the oldest person ever to assume the post of CSO music director, five years older than Fritz Reiner when he took the helm in 1953. But while Reiner seemed an old man almost from the beginning. Muti appears, both physically and in spirit, at least a generation younger. And when you consider that over his first five years, Reiner created what remains one of the greatest legacies in classical music, including countless recordings that remain best in class even to this day, well, hope springs eternal.